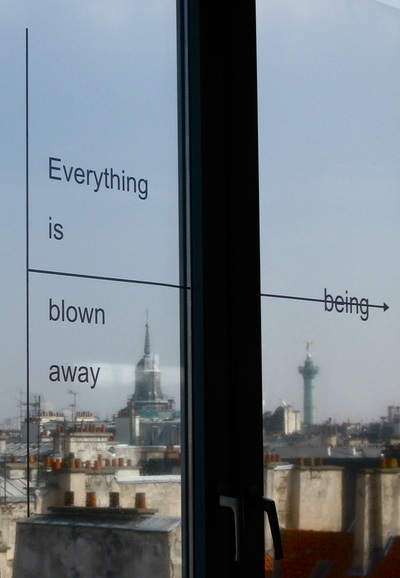 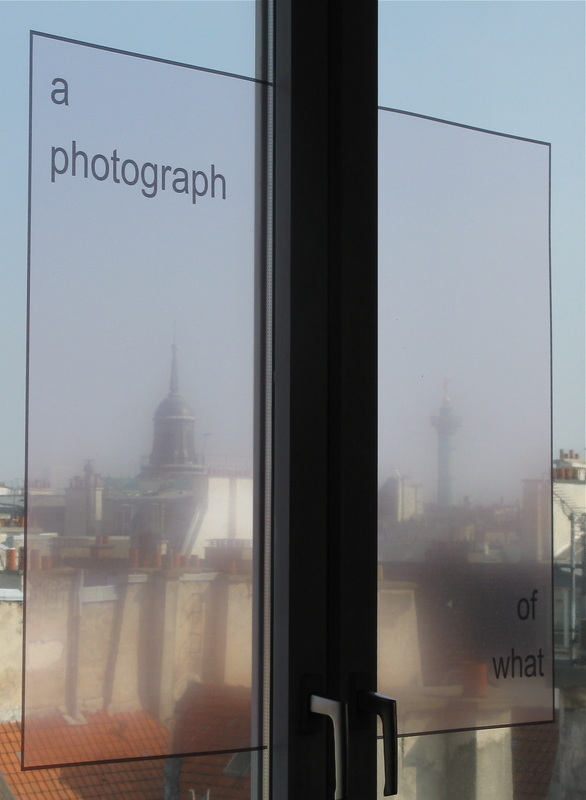 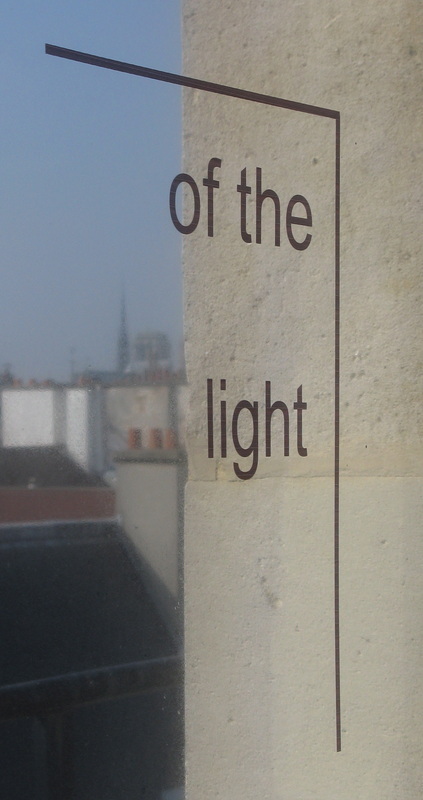 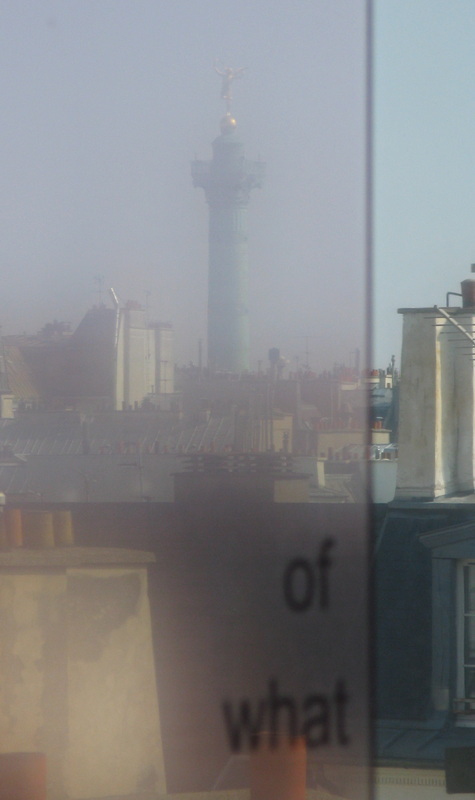 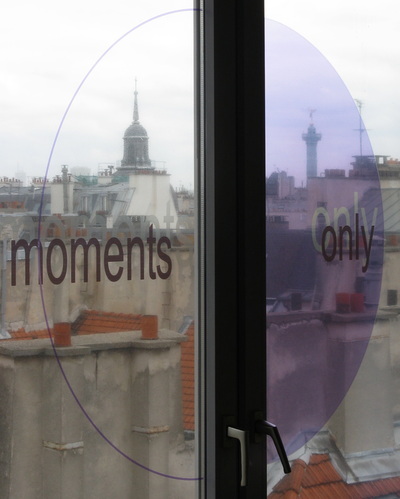 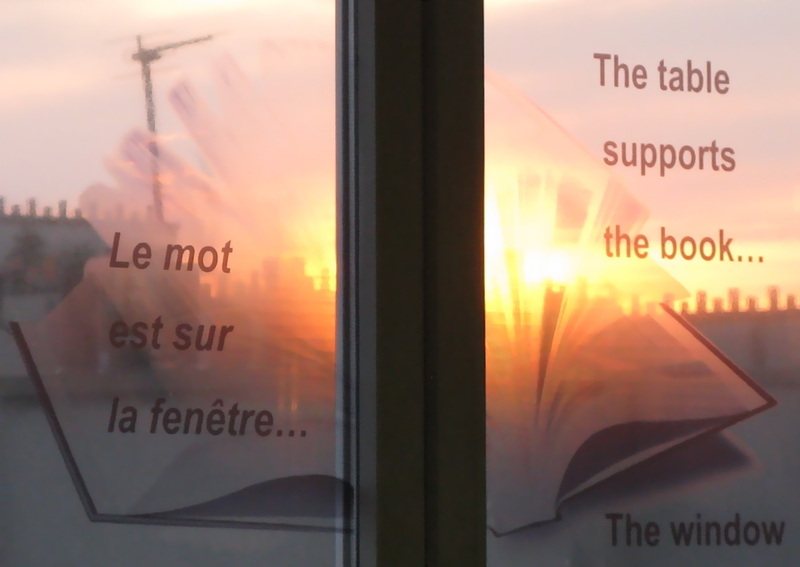 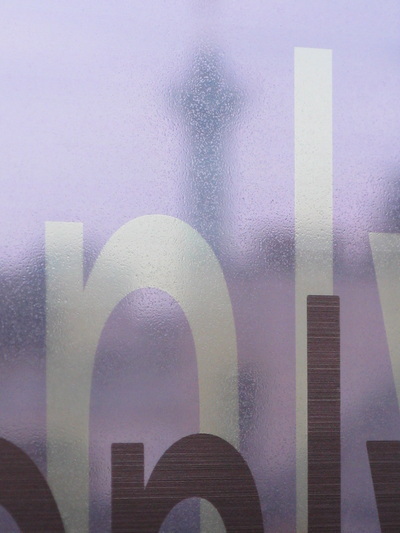 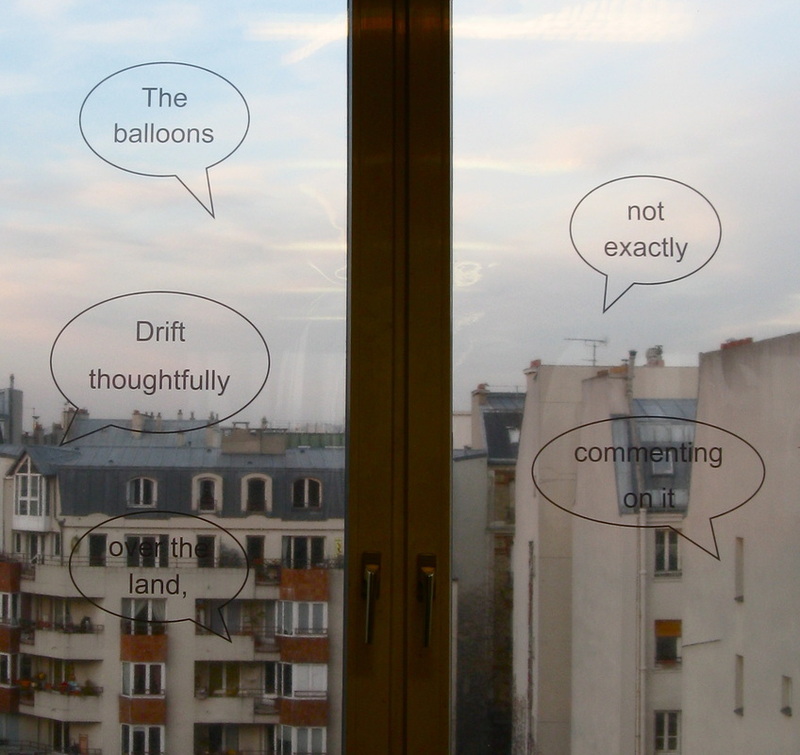 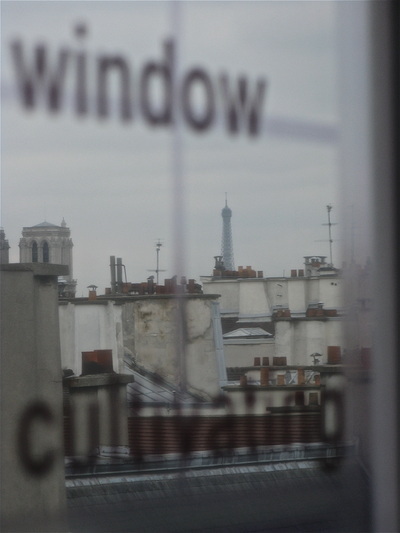 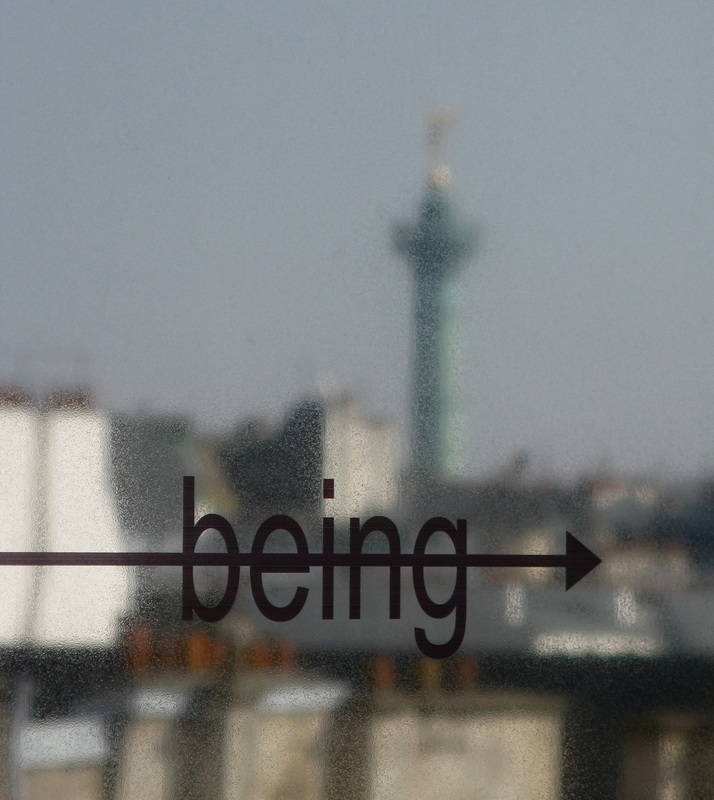 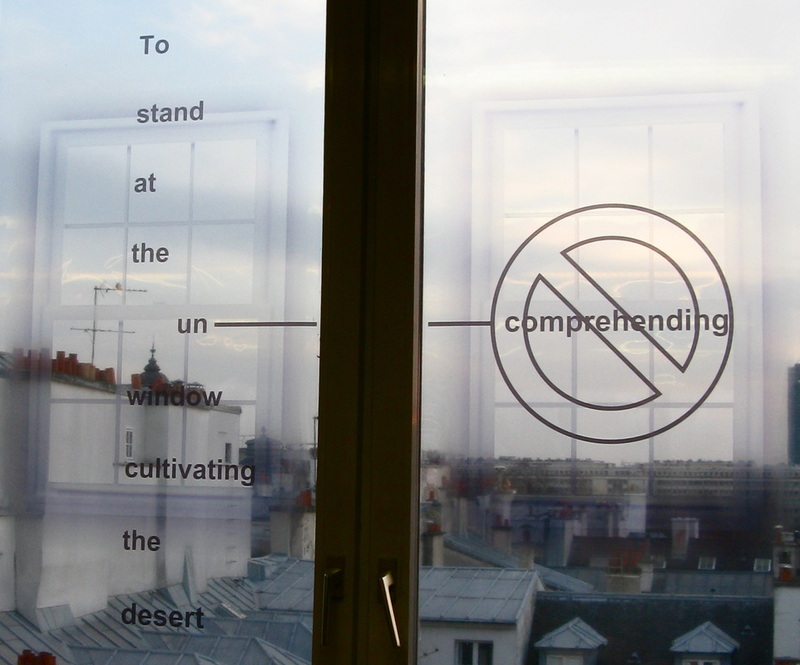 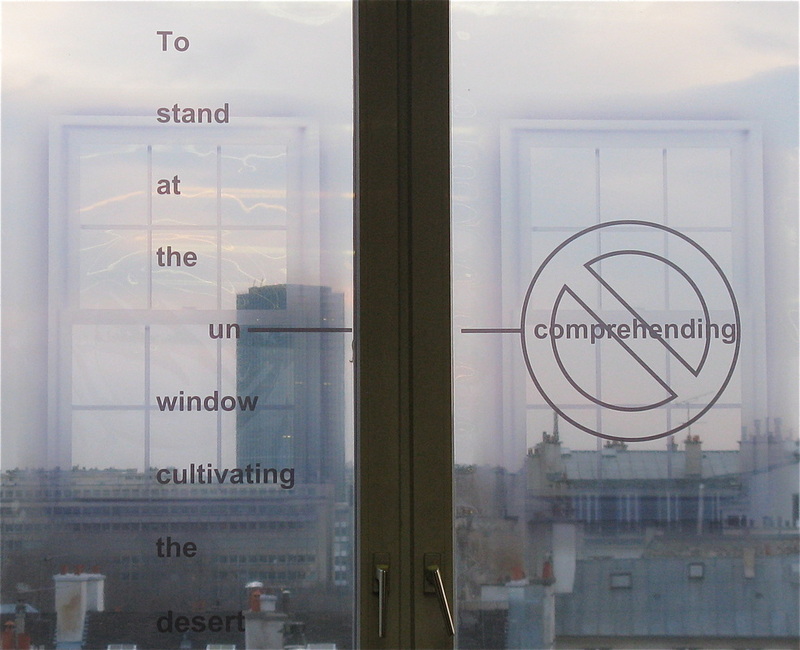 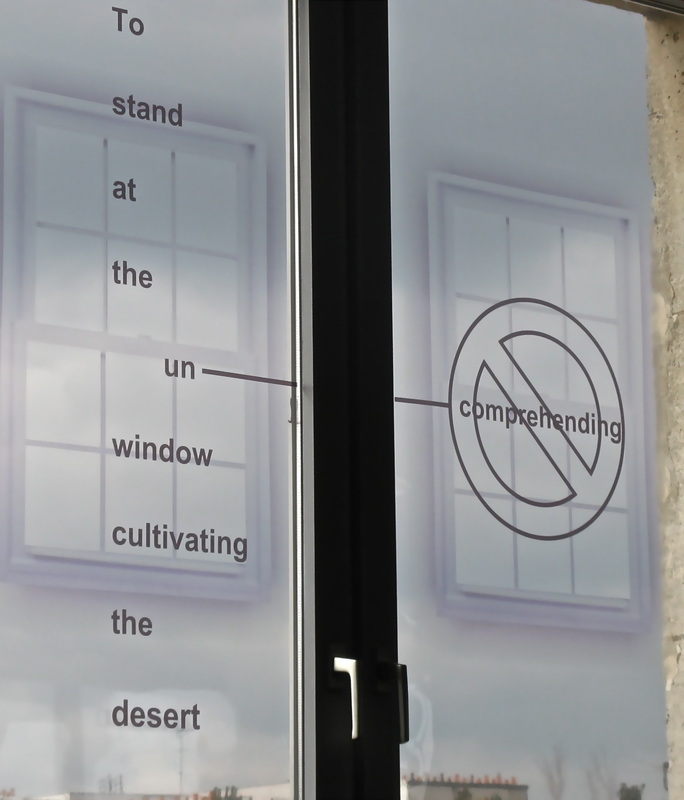 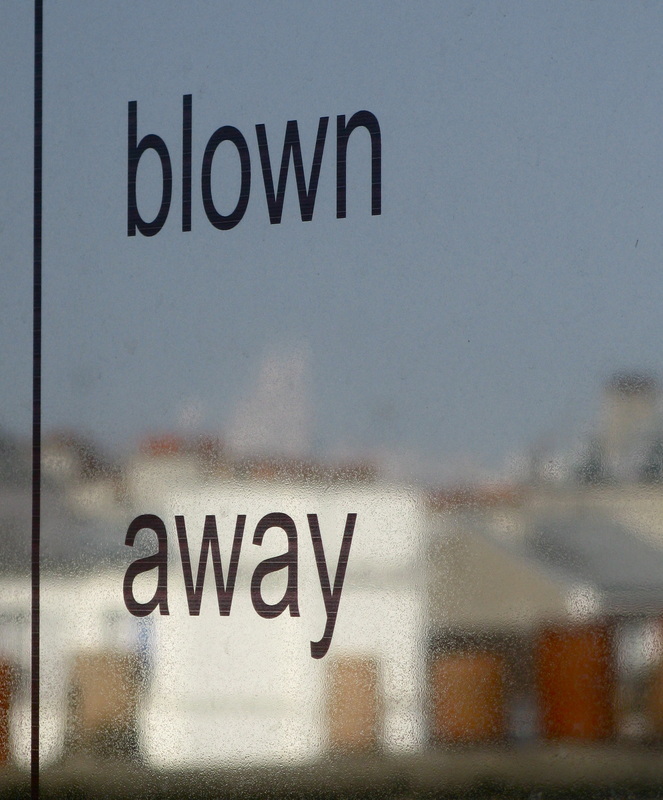 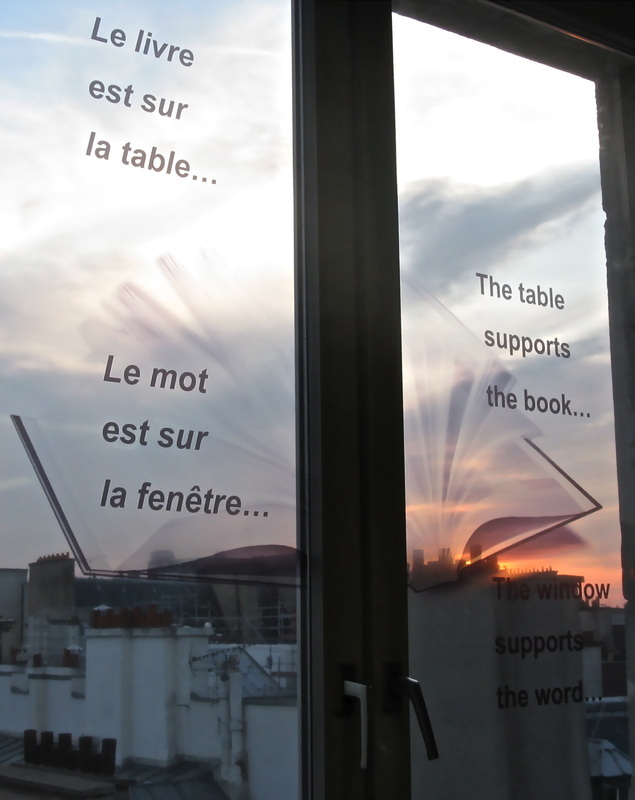 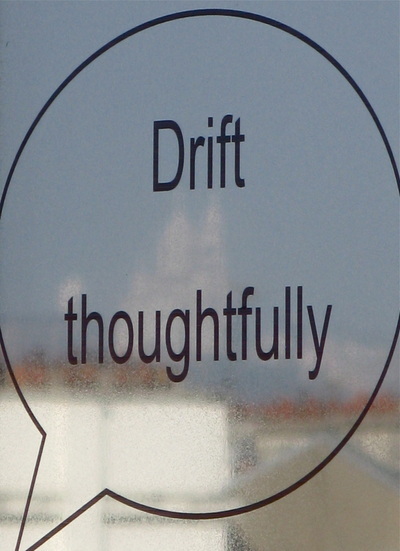 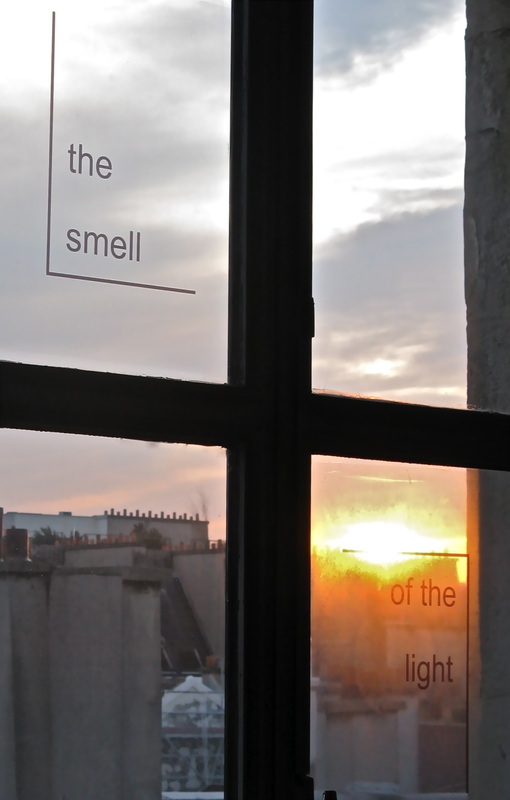 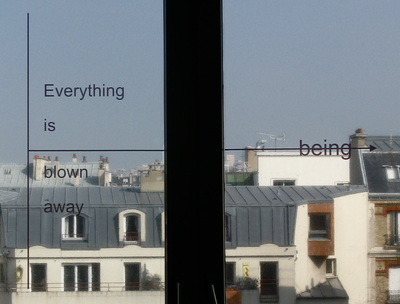 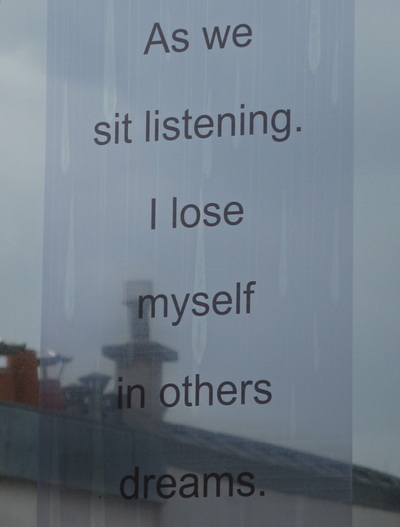 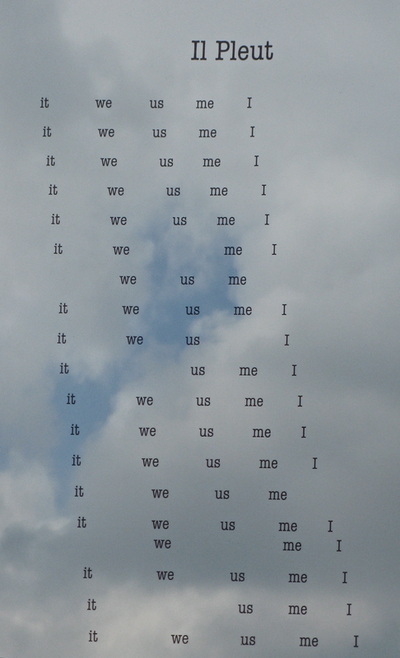 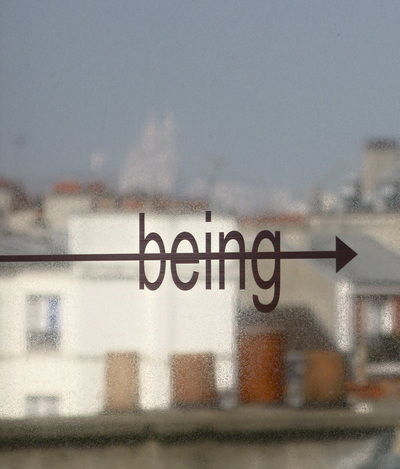 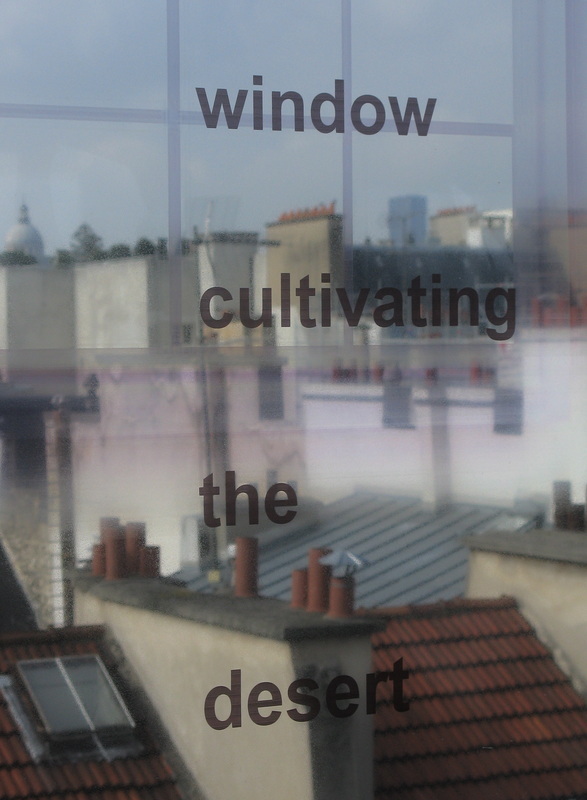 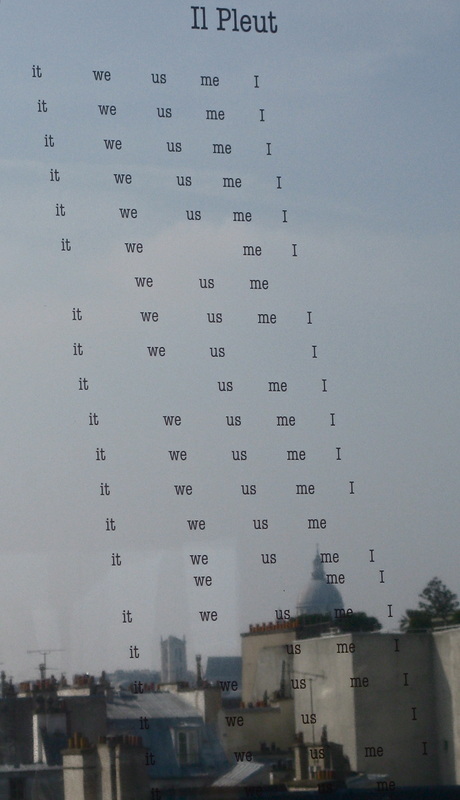 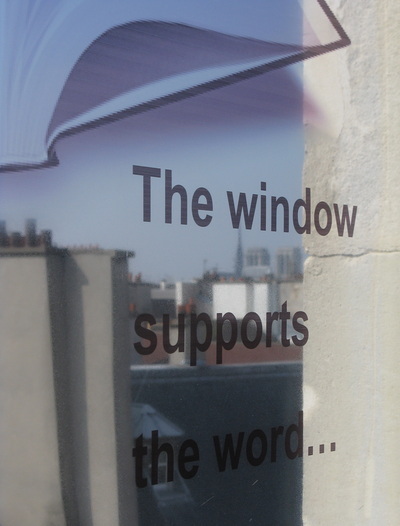 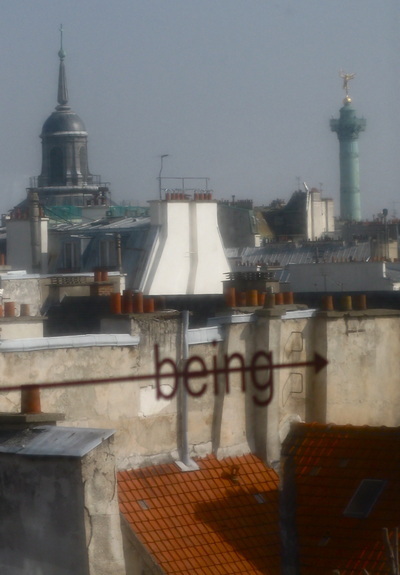 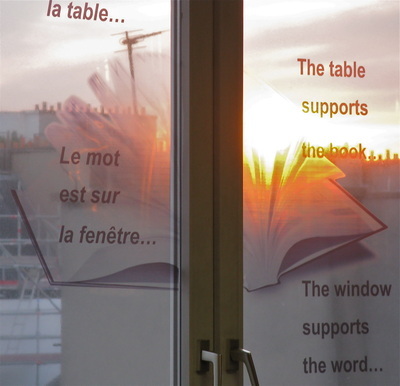 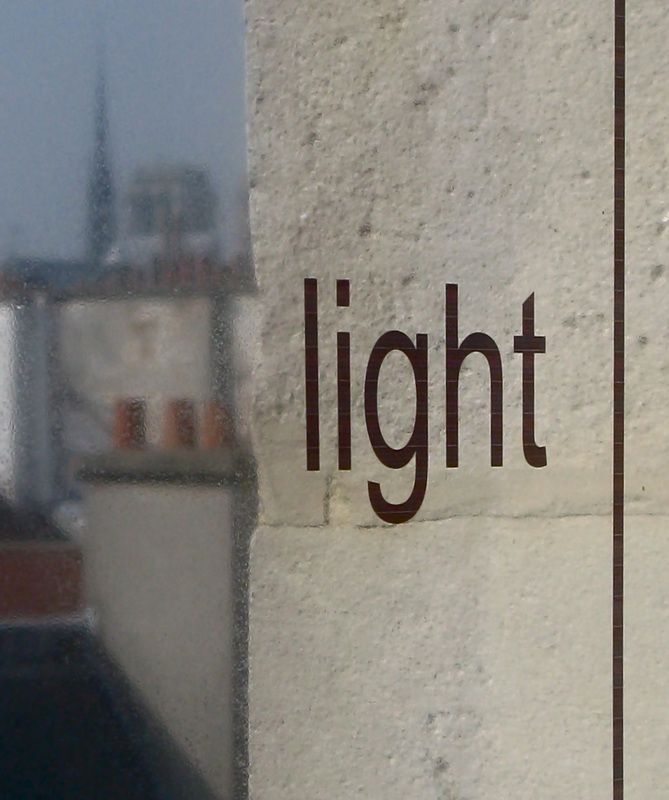 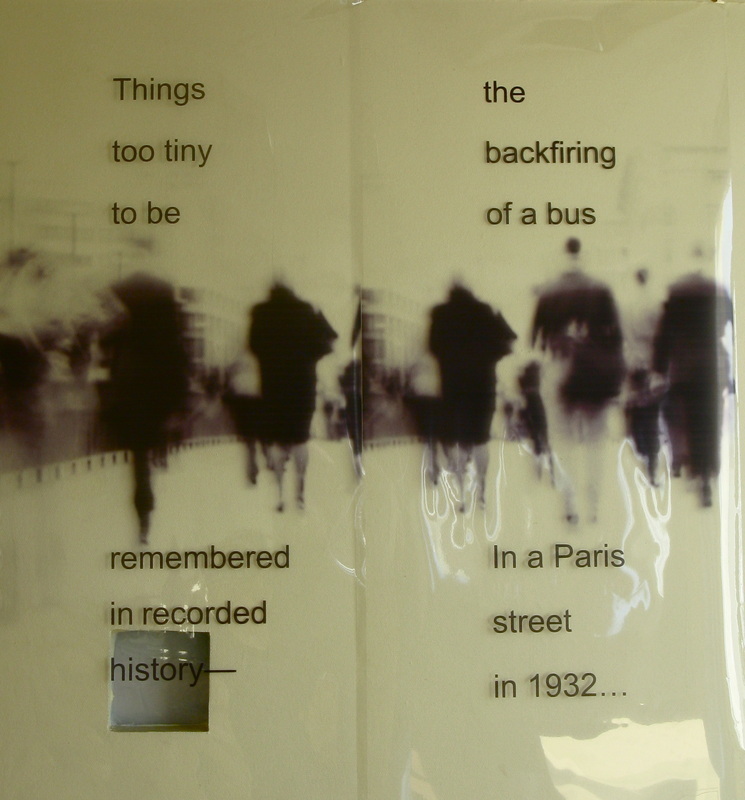 In conjunction with the “John Ashbery in Paris” conference, Writing On Air poems were installed directly onto the eight windows of the conference room held at the Institut Charles V – Université Paris Diderot, in Paris. 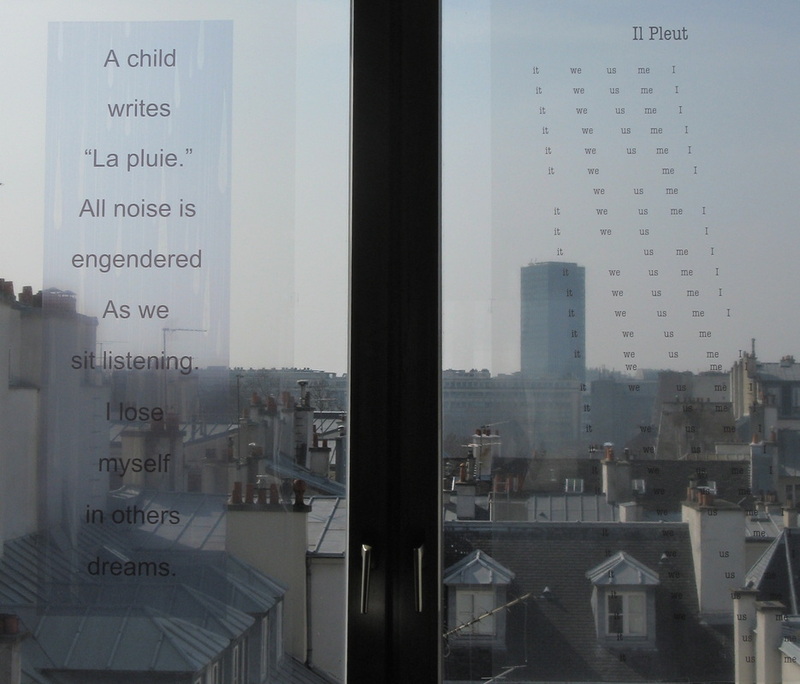 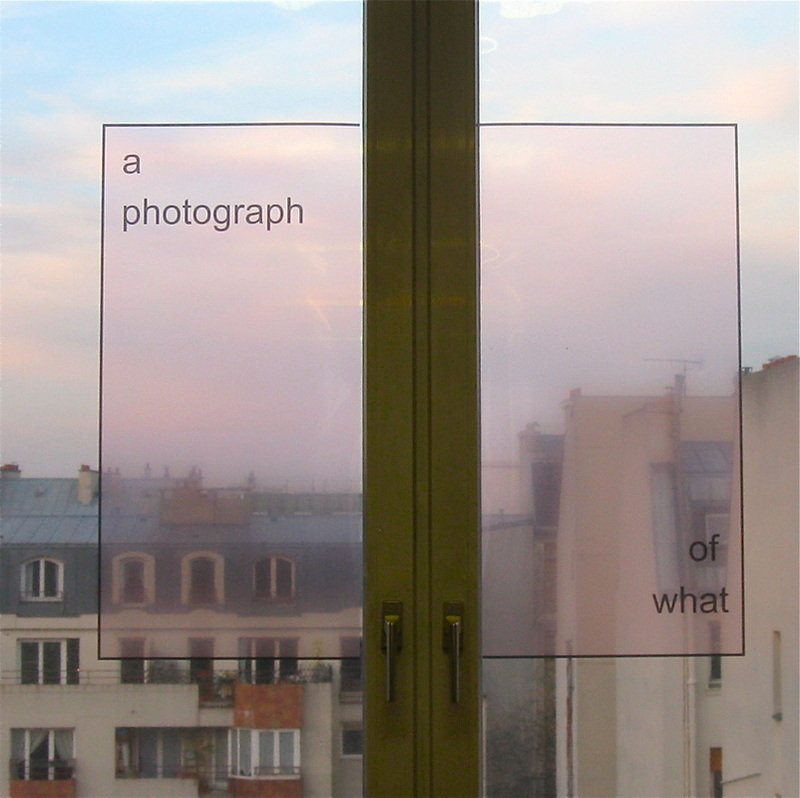 For this project, various fragments of Ashbery’s own poetry (from his Paris period, ca. 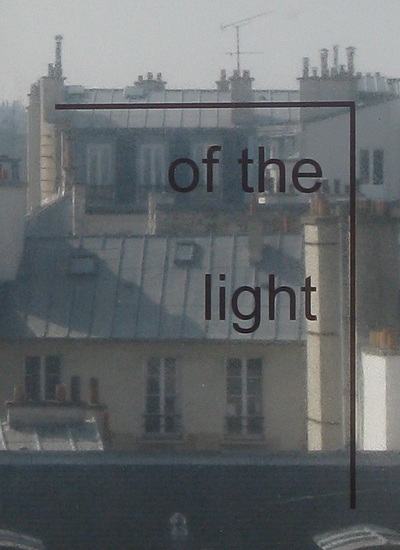 1955-1965) were used, locating within them references to windows, to the air and sky, to Paris and the French language, to the light and sight of the city... Then, joining the words with the windows of that room, and with Paris as the remarkable backdrop, graphic manifestations and expansions of Ashbery’s language were developed in relation to the unique setting and circumstances presented. 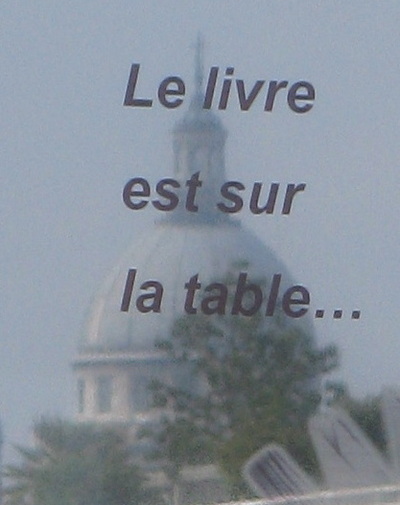 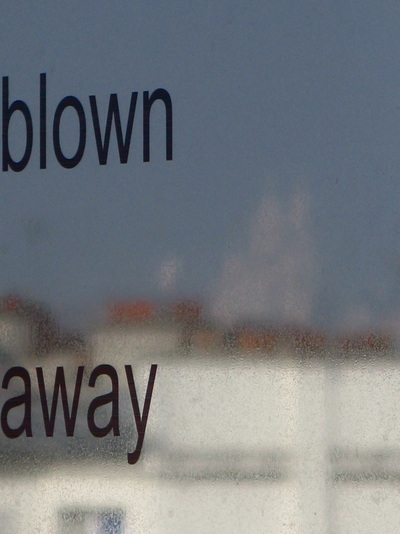 This writing on the windows offered the rare opportunity to write on the Parisian air, the words floating over the city’s rooftops, often aligning with, while even “at times, disfigur[ing],” its many notable monuments: the Colonne de Juillet on the Place de la Bastille, the Notre Dame Cathedral, the Basilica of the Sacre-Cœur, the Pantheon and, in the distance, the Eiffel Tower.